Do you enjoy singing? 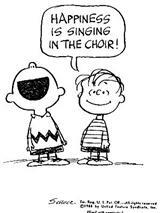 We do, and we are always on the lookout for enthusiastic people to join our choir. If you can sing in tune and have some basic musical knowledge why not come along to a few rehearsals to see if it's for you? You will receive a very friendly welcome. We perform four concerts a year. Just come along one Monday evening but if you want more information first please contact Jennie, our membership secretary using the contact form or telephone 07720 843134. The choir conducted by Musial Director, Christopher Cromar, during rehearsals for Handel's Messiah. Singing might be fun, joyful and uplifting but could it actually be good for you? The resounding answer is "yes!" Quite apart from the feelgood factor there are proven physical, psychological and emotional benefits to be enjoyed by singers. This article, by Guardian journalist Alice Wignall, investigates. Here's what some of our choir members say. We have a superb Music Director in Christopher Cromar - he knows how to get into the psyche of singers to get the most out of them, enable them to do things that they didn't think they could, help everyone to enjoy themselves and keep enough discipline to get what he wants to hear - he's brill... If you want to dip your toe into choral singing, or you want to get back into it (Congleton was the first choir I had sung with in 18 years) - then CCS is for you. I had always wanted to sing in a choir but there were so many excuses like the need to look after my four children, work commitments and countless other 'more important' things. But really what stopped me, if I'm honest, was a lack of self-confidence. Eventually I ran out of excuses and plucked up the courage to enquire about joining the choir and the next thing I knew I was at a choir rehearsal night. 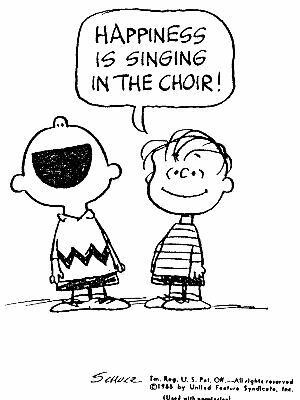 Although I already knew a couple of choir members I was still rather nervous but looking back now I realise it was quite misplaced as I was made to feel extremely welcome by other members and before I knew it the choir had become a part of my life. My first concert was the Christmas Concert which we performed at Congleton Town Hall. I have to admit that I suffered a little from stage fright. It was the first time in my life I had performed in front of a proper audience and even though I was just one of over 60 voices it felt like all eyes were on me. But I got through it and as we performed the final piece I remember being excited that I had, at last, achieved a life long ambition. 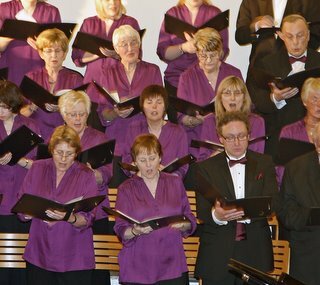 Since then my singing has improved enormously ï¿½ I've even sung a small solo part in one of our concerts ï¿½ and I feel a great sense of pride in belonging to a choir which is not only run in a professional manner but produces top quality concerts for the people of Congleton. If you're interested in singing at all, I'd highly recommend the CCS. Every practice seems to leave you buzzing! The Society has real camaraderie; it seems well organised and directed which has helped me slot in easily. I joined in February. Everyone's been so welcoming, but best of all is the music itself and the excitement of jointly creating a thrilling sound. I used to sing in choirs, but long working hours put paid to that. A couple of years ago I downshifted to part-time work and began looking round for a choir to join. Some were very specific about which voices they wanted, (only tenors and sopranos), whereas the CCS website just said 'can you sing in tune and read music', with an invitation to come and try. I did; I got a very warm welcome, and have since met so many new people. After a couple of weeks, my 'audition' was very low key and friendly, which quickly dispelled any nerves, so I am now signed up. I have enjoyed the last couple of months; the Christmas concert and the chance to sing at other venues, including Advent at Swettenham and Carol Singing at Styal, which provided quite a variety. I am now looking forward to 2012. We have both enjoyed singing for a long time. Ages ago, I (Rachel) sang with Doncaster and District Choral Society, where I remember singing a solo in 'The Holly and the Ivy'. More recently, we both sang in a chamber choir called 'The Elizabethan Consort', based in Alsager, which Quentin conducted from 1996 until 2004. Since then we have done a bit of ad hoc singing here and there, and eventually decided we wanted to start singing again regularly. We knew two members of CCS, and we could both make Monday rehearsals, so things came together this year and we thought we'd take the plunge! 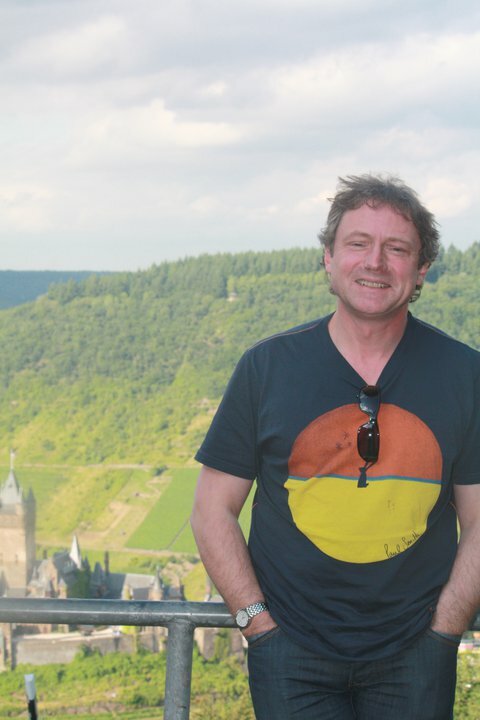 We knew after the first week that we wanted to stay, if accepted, because everyone was so friendly and welcoming, and Christopher Cromar was inspiring as a conductor. So we're very happy to be members.